The leading medical university of Lucknow, the King George’s Medical University is reportedly under a financial crunch for the past six months. 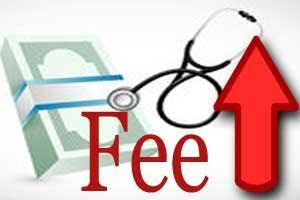 As a result of which a recent decision was taken during an internal meeting to offer different patient care services at a hiked fee (in the institute). In addition, the cost of basic surgical procedures, diagnostic services and hospital stay is likely to go up by 10-15% under different heads. As implied by sources on the financial situation of KGMU, it has been additionally reported that the university had to take loans to disburse the salaried in February of its faculty and the staff. Even the services of the contractual workers was adversely affected, as between September and January, over 800 contractual workers service contracts were not renewed. However, there have been no details shared by the officials. The Officials have stated that the “increase was subject to approval from the state government”, as reported by TOI. He added that the poor and needy will not be charged for anything. The VC also said that the university had to generate at least Rs 36 crore per annum to pay its power dues. “The university has started many new facilities in the past few years and the power consumption has shot up. Resources have to be generated to meet the financial burden,” he explained. In September, KGMU’s electricity connection was snapped by Lucknow Electricity Supply Authority on account of non-payment of bills. The move caused inconvenience to patients and staff.